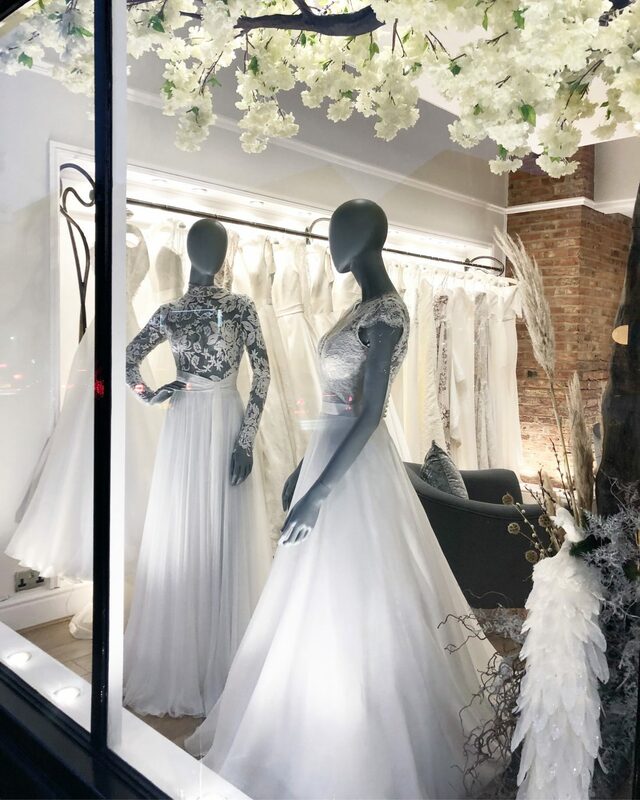 We are delighted to announce the opening of our new bridal wear boutique in Altrincham, Cheshire at our recently refurbished store, 11 The Downs. We celebrated the opening with a wonderful evening of champagne, canapés and great company, with a host of local wedding suppliers by our side to create a stunning celebratory event. 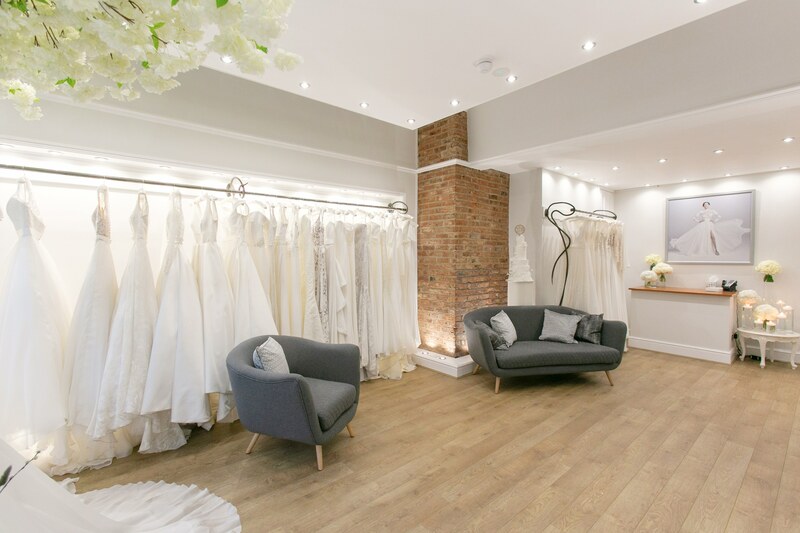 The modern boutique space has exposed brickwork, a pale grey and white interior with wooden floors and a second private fitting area on the floor below. 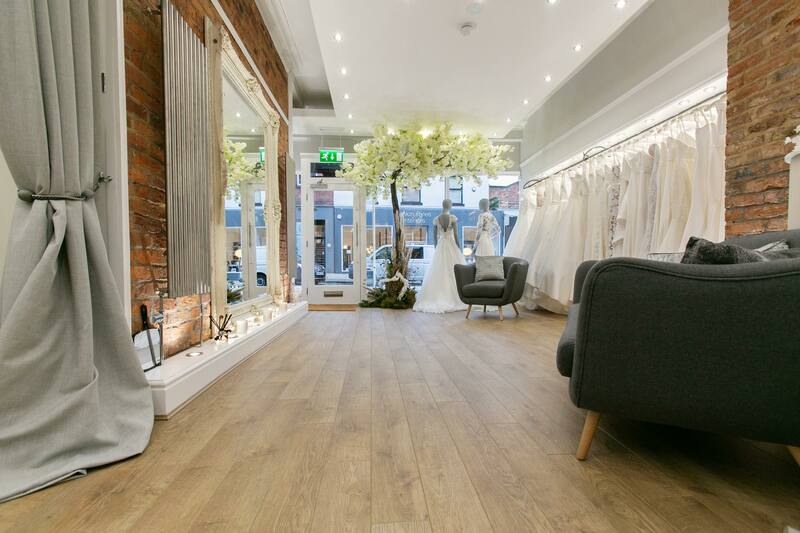 The store is open for appointments from Tuesdays to Saturdays between 10am and 6pm. Brides will be able to see the 2019 Bridal collection along with classic Suzanne Neville wedding gowns from previous collections. Mothers of the Bride/Groom and clients after glamorous evening gowns, will also be able to choose from an exclusive capsule collection. Top Table kindly catered the event, created beautiful canapés and kept everyone topped up with champagne. Red Floral arranged a stunning floral display in the form of a blossom tree in the window. Bloomsbury cakes made every guest a beautiful individual cupcake and displayed a stunning wedding cake. Photographs were taken by Matt Priestly and Florence Verity candles scented the showroom.